Looking for a fun, easy, low-cost workout? Then look no further, because all it requires is a jump rope. There's a reason why we all used o love it in elementary school- it's simple and effective. 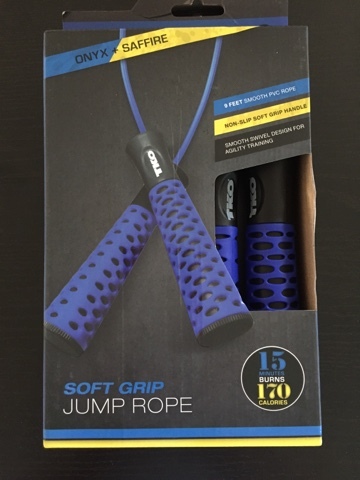 The TKO jump rope, available at Macy's, is one of the most effective and smooth ropes I have tried. TKO also specializes in fitness equipment such as boxing and weights. The jump rope comes with a soft rubber grip so it feels comfortable holding the handles and is 9 feet so length should be no issue. Best thing about jump roping? You can practically do it anywhere! In your backyard, hotel room, living room- just make sure there's no one around! Check out YouTube for jump rope HIIT routines! In case you didn't know already, I am a HUGE fan of subscription boxes, especially ones that provide value and great products. What I love about subscription "boxes" is its surprise factor. Based on a style profile, you can try products that they think would tailor to suit your personal needs. I'm already a subscriber to beauty boxes, so the concept transitioning over to fashion is appealing! There's already a few fashion ones but I love scouting new ones. The newest one I have learned is called Sunshine Crate, which provides a new "crate" of apparel to your doorstep. Depending on the size of your crate (either 3 or 5 pieces of apparel plus 1 additional accessory) you can choose a "chosen" item (or 2 if you get the 6-piece crate) from their select pool. The rest of the crate are surprises! These change about every 3 weeks so you can get new clothes pretty much monthly, without ruining your budget. 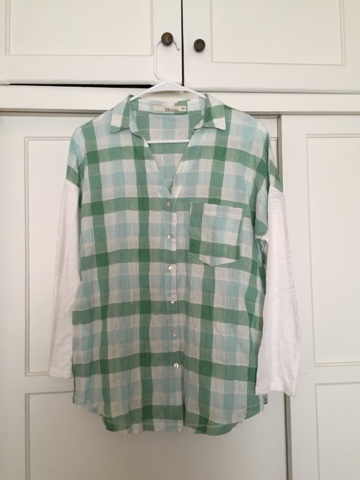 Here is the latest July 4- piece crate which includes 3 apparel + 1 accessory... My chosen item is this sleeveless button down top from Potter's Pot. 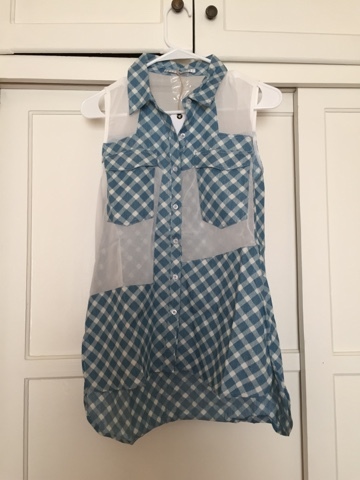 I love the plaid and sheer pattern. 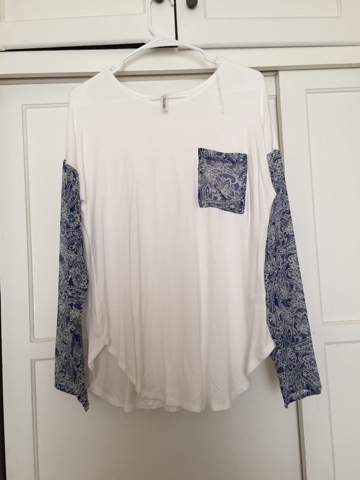 It's sleeveless - perfect for the hot summer weather and is longer in the back which I love!! The rest of the crate comes with 2 other "surprise" items. I requested more button downs and generous giving tops and I got 'em! The baseball tee and raglan shirt looks are so cute and I love these tops!! They are super comfortable and casual to wear on the weekend so I'm glad these were in my sunshine crate! 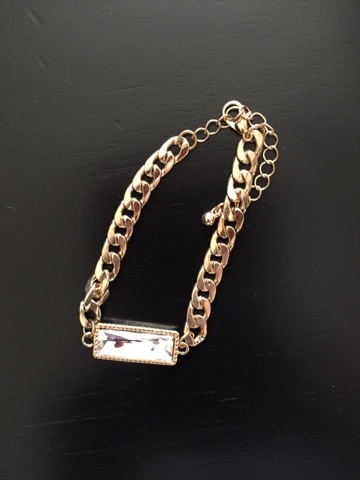 Here's my accessory- a simple bracelet to wear. If you're interested in learning more, check out sunshinecrate.com! They have clearance bags for cheap (surprise selection of clothes) as well as an accessory crate if you just want that! 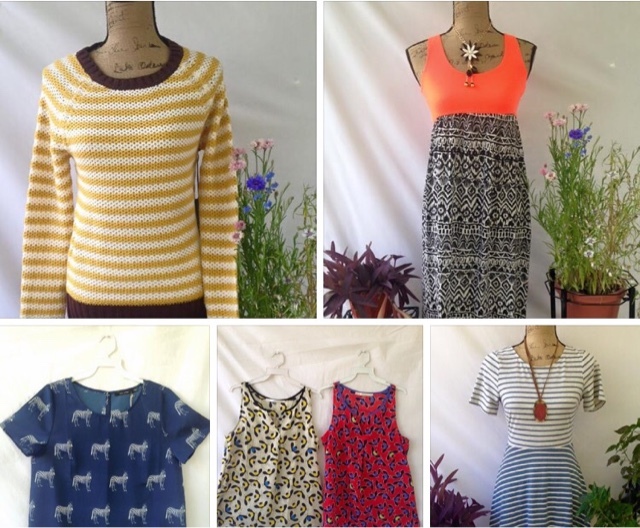 I'm loving the striped nautical inspired dress and the yellow striped sweater even though it is 80 degrees where I am. Now that it's officially August aka the end of summer month, it's time to start doing everything you haven't had a chance to do yet before Fall comes! That includes any beauty events in your area! I personally like to scout the Internet for listings including using the site freebeautyevents.com. Check it out to see what opportunities are near you for a fun day out! 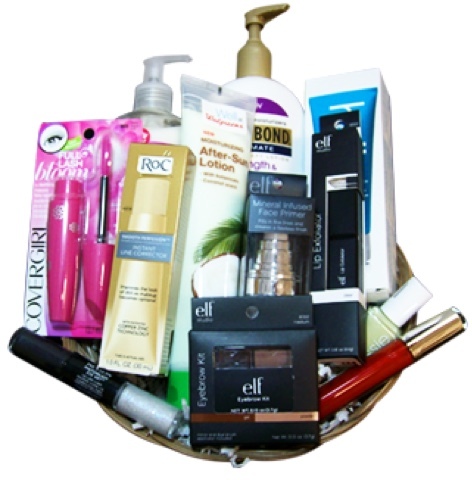 On their website, they also run a monthly giveaway so you can enter for a chance to win this amazing beauty basket. It includes summer essentials from Cover Girl, ROC, Elf cosmetics, Essie and more! Enter today, or check out their blog for the latest product reviews and more beauty tips! There's one more month of summer.. and if you haven't gotten your #goals tan yet, it's time to try out a self-tanner. In particular, the Beautisol self-tanning mousse. The kit comes with an applicator mitt so it wont get on your hands when applying. It's basically an apply, wait and wash off-kind of routine which makes it super easy to use. I personally use this for my legs so I can get an even, gorgeous glow when wearing skirts and dresses. It's been an incredibly hot summer so far, so this product is a Beauty & All That must-have! Interested in getting an amazing tan this summer? Get yours today!